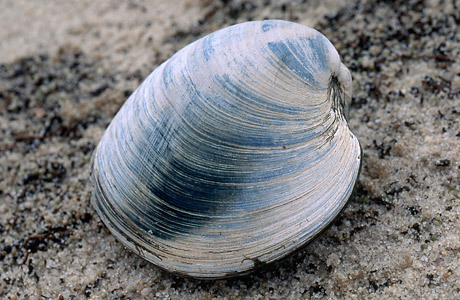 Most hard clams, like the one featured here, have an average life span of just four to eight years. In October, researchers from Bangor University in Wales were trawling an ocean shelf off the coast of north Iceland when they stumbled on what is believed to be the world's oldest living animal: a 405 year-old clam. Or it was living, until researchers had to kill it to determine the clam's age by studying rings on its shell. The clam species, the Arctica Atlantica, is particularly long lived  it has been known to survive some 200 and 300 years  and this particular specimen spent its protracted life burrowed in the sand 262 feet under water. When it first lodged itself down there, Shakespeare's Hamlet was on stage at the Globe Theater, and the English were setting up camp in North America.